You have completed your studies? What are your next steps after completing your studies? You are likely to have many questions: health insurance, residence permit, job search, German courses and more. You will find all important information at a glance in this checklist. Do I still have health insurance cover after completing my studies? Please definitely contact your health insurance company to clarify the situation with regard to your membership. You can continue the insurance on an optional basis. The contribution for optional insurance is generally calculated from your actual income. The minimum monthly contribution is approx. € 160 (over 23 years of age with no children) with an income of up to € 922 gross. If you earn more than €450 during this period and are employed for more than two months your health insurance may be covered by your employer. 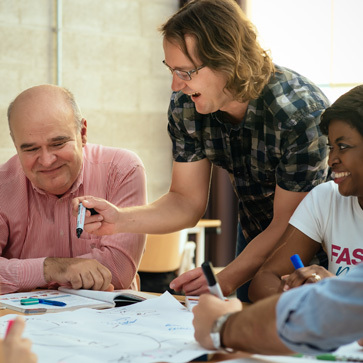 Whilst looking for a job it is also possible under certain circumstances that unemployed EU citizens may be insured through their parents in their home country. Students insured by a private health system are exempt from the mandatory health insurance or are foreign students who started studying after the age of 30. You need to clarify the optional insurance directly with the private health insurance company. Statutory insurance is only available once you start working after completing your studies. Your income must then be a minimum of € 451 per month. The contributions are calculated based on your salary. What do I have to take into account with the residence permit? 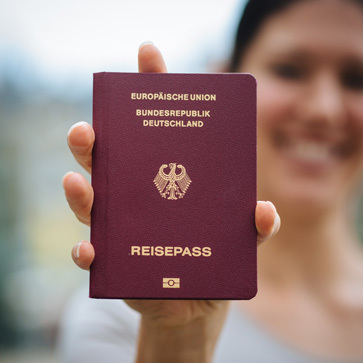 As a non-EU citizen you can apply for a residence permit for a duration of 18 months to look for a job after successfully completing your studies. After 18 months you must provide evidence that you have found a job in line with your degree or qualification. Note: The 18-month period begins following written notification that you have passed your last examination. How does the job search and application process work? If you have any questions about your application, job search or registering as unemployed then please contact the team for "academic careers at Stuttgart Employment Agency". They will provide you with advice on these matters during and after your studies. I would like to become self-employed - who can give me advice? Anyone wanting to set up their own business needs one thing above all in addition to innovative ideas, lots of patience and secured financing: good advice. The Business Development Department at State Capital Stuttgart and its partners advise prospective company founders in all matters relating to setting up businesses and establishing contacts. 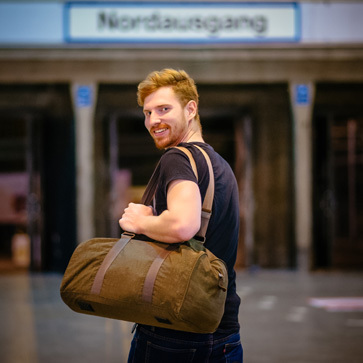 Where can I improve my German skills for a job? German is the working language in most companies, therefore good written and spoken German is a job requirement. German skills are not just important for your everyday life and professional life, but also so that you can participate in society. 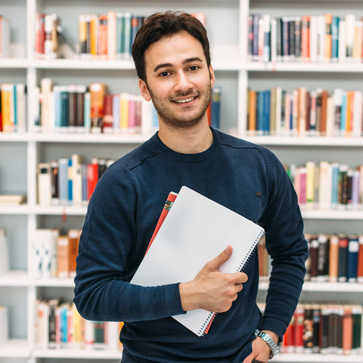 In addition to many opportunities to learn German whilst you are studying, you can also attend job-related German courses after completing your studies. Where can I live after completing my studies? You are no longer able to live in a student residence after completing your studies. The maximum length of stay in a student residence is four semesters. An exception of a few months may be made in justified cases, for example, if you need to complete your final thesis. 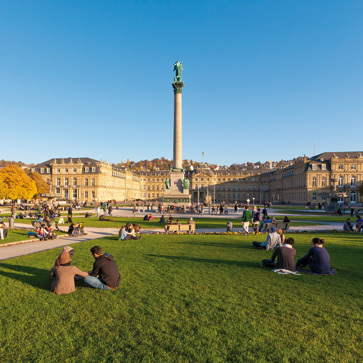 It is not easy to find accommodation on the private market in Stuttgart. You will generally find private advertisements for rooms on the bulletin boards in university buildings and student unions. You will find classified advertisements for flat shares as well as individual private apartments and rooms in the local newspapers or on property portals on the Internet. Students enjoy living in shared accommodation, a so-called flat-share. Here, several students share an apartment and each has their own room. The level of rent lies between approximately Euro 250 and Euro 350 for a single room and Euro 350 and Euro 500 for a single apartment. Please check whether the extra charges (costs for heating, electricity, water, caretaker and waste disposal) are already included.